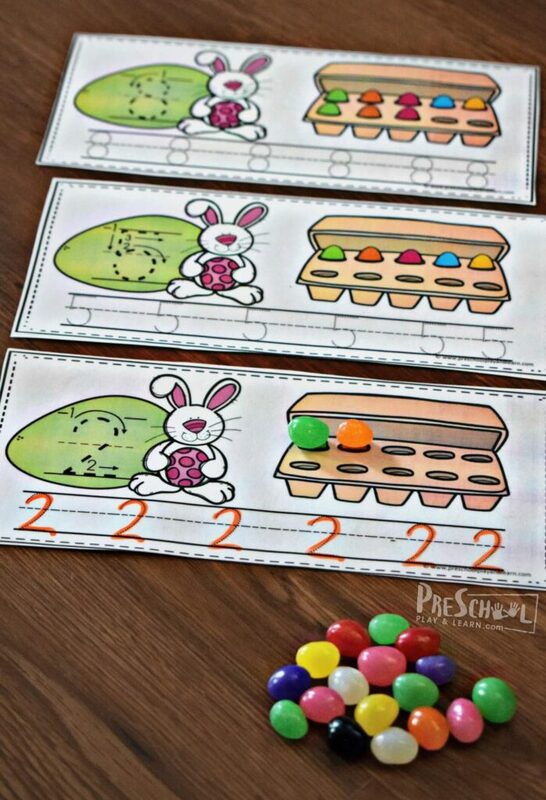 These super cute, FREE Printable Easter Count, Trace & Erase Strips are a fun way for toddler, preschool and kindergarten age kids to practice numbers 1-10. 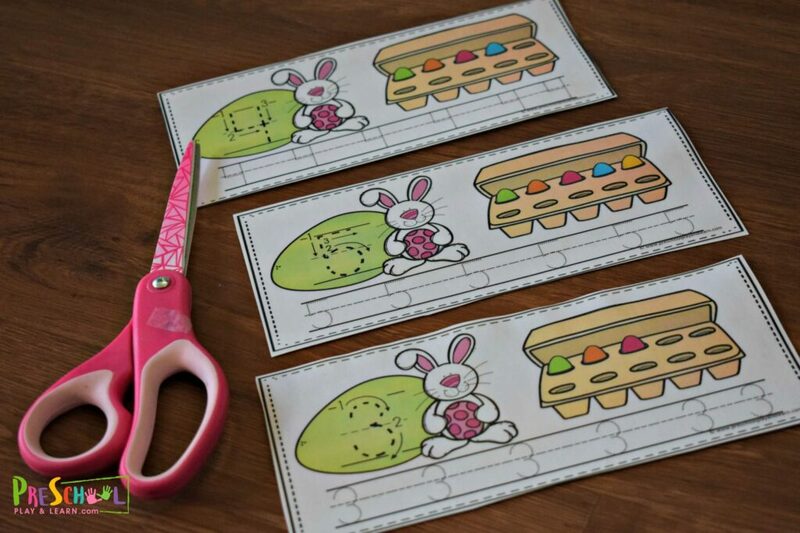 These super cute Easter printables could not be easier to use. Plus, these LOW PREP strip are perfect for counting, one to one correspondence, tracing numbers, and more! Print the pages in color. Now laminate the math printable so that they are reusable. Now cut each page into 3 strips. Kids will start out by practicing counting numbers 1-10. We like to use jelly beans because edible math manipulatives always make math more fun in our house! Each of these mini eggs covers an Easter egg in the egg carton to help kids practice one to one discrimination. Next, preschoolers will use a dry erase marker to practice tracing numbers 1 to 10. 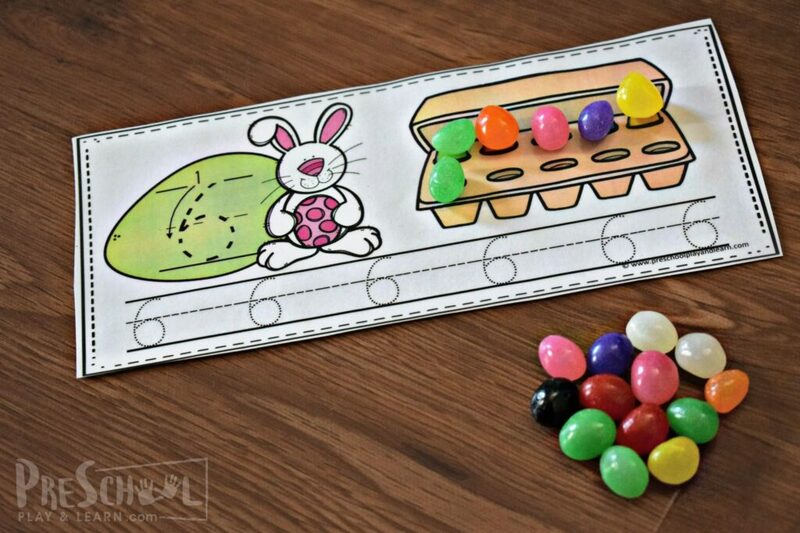 Each Easter Count, Trace & Erase Strip contains directions for how to properly form the number plus several spaces for tracing the number. This is great practice because after you are done practicing, you can wipe it clean to practice again! 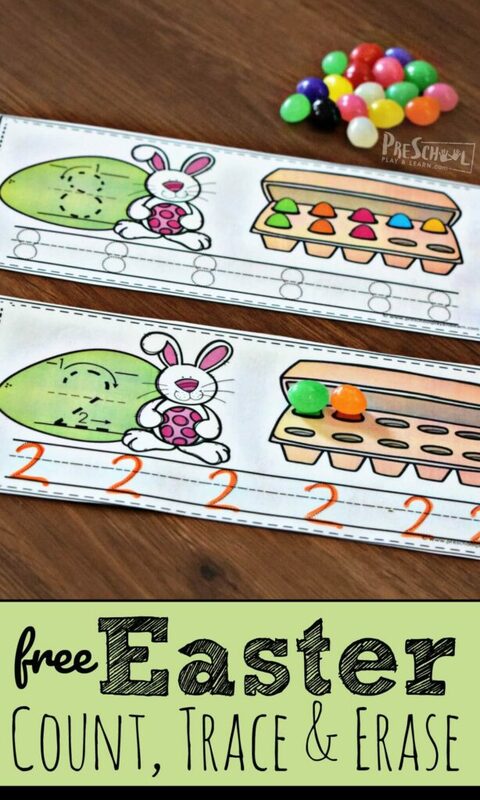 This super cute, FREE printable for writing numbers 1-10 has such a cute Easter theme! 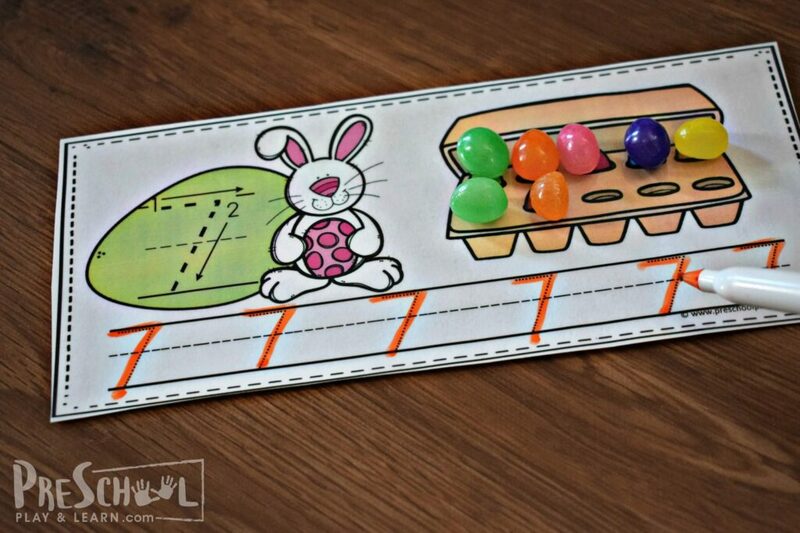 Your students will love learning with this Easter activity for kids. I love all that you sharing in your site!